Andy Burke is known to thousands of teachers throughout Ireland and further afield through his work in St. Patrick’s College, Drumcondra (now part of Dublin City University) and overseas for organisations such as the World Bank. His passion and enthusiasm for education are infectious. After joining and later leaving a religious order, Andy worked as an electrician in Dublin and as a carpenter in Boston before dedicating himself professionally to education. Throughout his academic career in teacher education, he was preoccupied by the question about what type of work teaching is and whether it was a trade or a profession. . In this part of the interview I asked Andy if he now believes that teaching is a trade or a profession. Andy Burke: It really comes down simply to this: that professional people provide a service in areas, the complexity of which is known but not fully understood. In other words, professionals profess competence in that kind of area. People like John Dewey were saying that in 1904. [Robert] Dreeben was saying it. [George] Denemark was saying it. Berliner and a whole lot of others were beginning to say that. And so that got me onto that wavelength because it was a very good paradigm for looking at what teachers were doing and looking at what teacher educators should be doing. So the critical question when I boiled it down, if you walk onto a building site, if you walk into a hospital or wherever you walk into, who are the professional people? And put very simply, they’re the people who make the critical decisions. And who are they? It’s not the electrician, it’s the electrical engineer. It’s not the draughtsperson, it’s the architect. It’s not the nurse, it’s the doctor. So, then you ask the simple question, who makes the critical decisions in the classroom? It has to be the teacher, whether or not they’re competent to make it, whether they’re trained or untrained, they still make the decisions. And Berliner, somewhere in the eighties, did a review of research on teacher decision making and his conclusion was that teachers make up to thirty non-trivial decisions every hour of every teaching day, in a situation where one thousand, five hundred interactions take place between teacher and pupil. And that, in a way, blew me out of the water, to say, that is the heart and soul of it. And that, in a way, establishes teaching potentially, at least, on the professional stage because they are making those decisions. Teacher educators don’t teach pupils. Ministry of Education people don’t teach pupils. Teachers teach pupils and they make those decisions every day. And the challenge to teacher education then is, how do we best equip them to make those critical decisions and if those decisions were about my children, they are incredibly important. As those of us with children know, when they come home and they’re upset about something, you say “Oh, what happened today? What decision did the teacher make today? And decisions could be simple things like, like a nod, saying “well done” or raising a finger, as Buber says, to somebody. And decisions about what to teach, how to teach it. The teacher is making them all the time, every hour of every day, whether or not they are competent. The challenge is to make them as competent as we can make them. And that’s what took me in that direction. I spent most of my time researching that, thinking about it, developing the implications of that for the way we should be teaching teachers developing them. 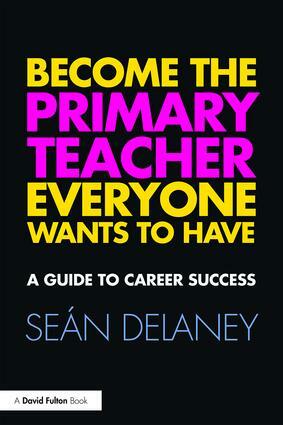 SD: So if teaching then is a profession, what do you make of the state of the profession of teaching in Ireland today? AB: I think Ireland is in a better position than many other countries because of our native good sense and our feel for what is the heart of education. But as against that, there is a tsunami coming at us from the OECD, from the EU, of narrowing down the whole thing to a series of competencies and basing the assessment on a series of competencies and pushing the whole economically-fuelled arguments of inputs and outputs and that is narrowing education enormously and very regrettably. In fact, Richard Pring has written a very good article where he says, when you change the language about education to inputs, outputs and all these things, you’re actually changing the definition of education. So there is pressure on to go that route. And many countries have gone that route and have narrowed education and have almost pushed foundation disciplines to one side because of doing that. And as soon as you do that, you’re in a real difficulty because a number of people have said that teachers are the people at the coalface. And if reforms are to come, they’ve got to understand what they’re doing. And if they don’t understand the why of…., it’s not understanding the how, they have to understand the why of what they’re doing. If the teaching approach changes, they may end up replacing one orthodoxy by another un-interrogated orthodoxy, never being able to critique what they’re doing, to critique their own teaching in anything more than a pragmatic way: what works? what doesn’t work? And, you know, I am reminded of the things that worked in medicine, bleeding patients you know, that worked; boring holes in their heads appeared to work; so what works is… corporal punishment worked on a lot of us. But from a more informed point of view, what works may not be acceptable and may now be illegal, in fact. And without foundation disciplines, without perspective, teachers are not in a position to critique what they’re doing or where education is going. And that is absolutely critical because they’ve got to take it there. I interviewed Andy Burke and broadcast the interview over two programmes. This extract was taken from the first programme which is here. You can hear the second part of my interview with Andy Burke here. This entry was posted in Teacher Education, Teaching. Bookmark the permalink.